The curriculum-based program is designed for active state troopers/law enforcement to educate students in grades K-8 about the importance of character. ​Twelve positive character traits are taught in an environment of collaboration, respect and accountability by trained role models. These traits have been scientifically classified and defined to cultivate moral reasoning abilities and behaviors. Seven traits predict life satisfactions and high achievements (Peterson, C. & Seligman, M. (2004). Character Strengths and Virtues. New York, Oxford University Press). The curriculum development team added five other traits totaling twelve characteristics, including grit, zest, optimism, self-control, social intelligence, gratitude, curiosity, integrity, kindness, hope, bravery and fairness. Evidence-based support confirms the efficacy of the CBAI curriculum. Across the U.S., the public health model is considered the most effective way to reduce adolescent problem behaviors before they occur. Risk factors are buffered while the protective factors that correlate with these problem behaviors, such as teen pregnancy, substance abuse, violence, juvenile delinquency and school dropout are enhanced. The Character: Be About It program addresses the risk factors that lead to violence at a critical point in a young person's life (Grade 3). It is at this same developmental stage that character building and good decision-making must be developed. Prevention research supports primary prevention efforts in the elementary school environment for two reasons; (1) It is a more effective to address problems before they occur (proactive) through preventive measures. (2) It is more cost effective to address problematic youth behaviors before they become habits in a young person's life. The preventative approach is more effective than the incarceration approach on all fronts. 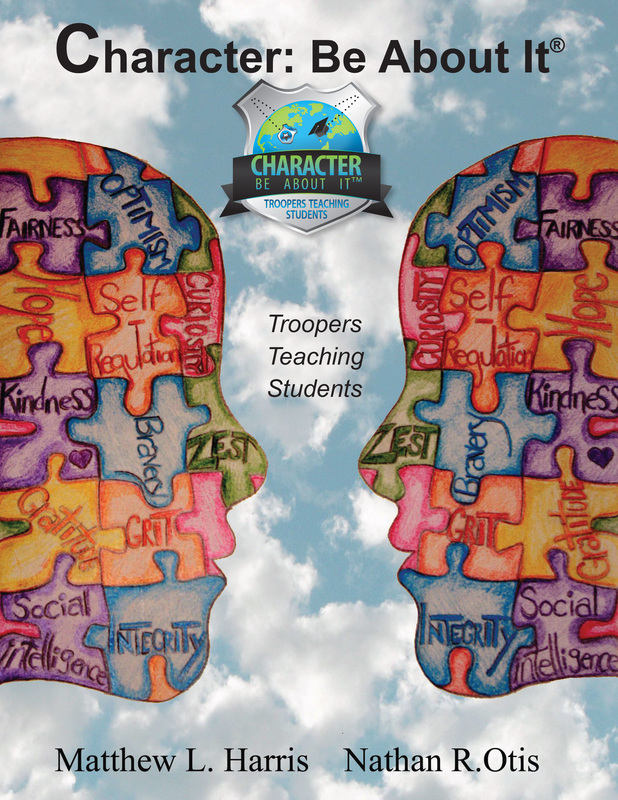 Currently, there is no other preventative curricula that includes active state troopers/ law enforcement in the classroom for the entire school year to teach essential character traits. We build leadership skills and reduce drop out and crime rates.